Overview: The Parsee trace their origins to the Zoroastrian empire of Persia, founded before 3000 BC. Cyrus and Darius of the Bible were followers of the prophet Zoroaster. According to tradition, modern Parsee descended from Zoroastrians who fled from Iran to India during the 10th century AD to avoid persecution by Muslim invaders. 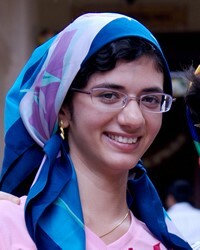 Today the major Parsee communities are in Iran and India, but growing immigrant communities of Parsee are reported in the United States and the United Kingdom.